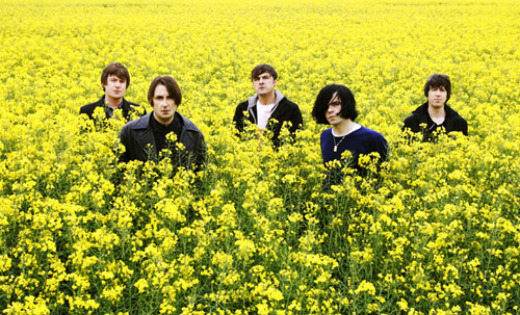 With a career that has already spanned more than two decades, The Charlatans are preparing to release their new album Who We Touch, on September 10th 2010. Who We Touch is the band’s 11th studio album and one of their more distinctive. Talking about the album, singer Tim Burgess said the album is “a soulful voyage” inspired by some of their musical heroes. There’s a really good mix of songs on the album from the very soulful My Foolish Pride, the melodic Your Pure Soul. The album is touching base with The Charlatans earlier music. The video for the single Love is Ending was directed by Douglas Hart, former bassist of The Jesus & Mary Chain. The concept was to create something simple but striking to compliment the energy of the track. The video featured choreographer and ballet dancer Aisling Cook dancing to the backlit silhouettes of The Charlatans. This entry was posted in Music and tagged Music, September, The Charlatans, The Charlatans Who We Touch, Tim Burgess, Who We Touch. Bookmark the permalink.